I came across this while on reddit.com. Some posted that they had made a music video with a donated cockpit and $200. I was absolutely blown away by the mood that the video conveys. The slowness of it – the music, whats happening in the video, combine to create a mellow, subdued atmosphere that is perfect. To begin with, the video has a “VHS” effect applied to it that takes me right back to 1986, when my family would stop by a brand new store in town called “Adventure Land Video” and rent a VCR and a couple of movies for the weekend. Back to the Future, Explorers, Tron, The Black Hole, they all filled my Friday nights around that time. It was nothing short of miraculous to be able to watch a movie whenever you wanted, to be able to rewind and watch it again. The video is set in a cockpit, in space, with a pilot on some sort of mission involving a 3 1/4″ floppy disk. Whats on the disk? Coordinates, autopilot instructions? Some secret of the universe? The disk seems to be mystical somehow, you’ll see why at the end. Nothing much really happens in the video though, but this is not a bad thing. It’s a couple of minutes of the stars reflecting in the pilots visor, some interior shots of the cockpit, and a computer generated face somwhere (possibly on some exterior part of the ship?) which is singing the lyrics to the song. The end of the video features some slight 2001-esque action, with the pilot flying into some sort of fantastic light field. Now, normally I link you to a free album. This time I’m linking you to a video and telling you to go buy the album. It is on spotify and the rest of the entire album is just as perfect as this one particular song. I would describe Starcadian’s music as a sort of modernized, subdued and mellow Jamiroquai. A facebook friend recently steered me in the direction of the album Dive by a band called Tycho. Tycho is an ambient electronica act that is really superb if you like Boards of Canada. Tycho releases albums on Ghostly.com – which is not exactly a record label, more like a storehouse of art-related items that happen to include music. 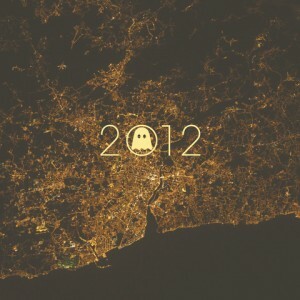 So Ghostly.com has a handful of free releases, by their own collective of artists. So far I have listened to the 2012 release, and it is nice. Not quite post-rock, not quite ambient, it’s all mellow and chilled and relaxing and pretty much perfect. I am looking forward to checking out all of their artists, and in the meantime I have Ghostly 2012 on pretty much on constant repeat in the Jeep. It’s really perfect driving music. So go check them out asap. You will not regret it. Let’s see, how can I describe this? Post-Bluegrass? Hillbilly ambient? Plain old banjo weirdness? Whatever genre you want to try and pigeon-hole this in (ok ok, I’ll go with Experimental), it’s extremely awesome music. Haunting, pulsing rhythms. Bowed instruments. And a banjo. Far away, ethereal vocals. It’s hard to believe she is from the city of Cologne, Germany, and not some sort of Appalachian free spirit stepping out of the mountains, barefoot with banjo slung across her back, singing an eerie melody that echoes off the surround mountainside. This is a definite must listen. Mellow guitars start this release out, but it doesn’t take long for the nicely mellow breakbeat to show up. 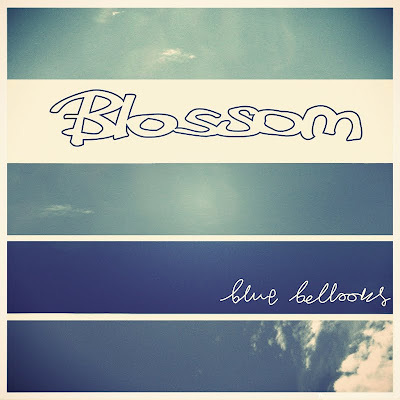 Blue Balloons is reminiscent of Revolution Void and Boards of Canada, though not as all over the place – these tracks are more structured, and would be perfect background for some trip-hop vocals. I especially love the big fat square bass synth in my favorite track from the album and that is track 5 – Nightbeat. All in all, this is an excellent release, one of the best I’ve heard this year. More ambient goodness from Good Weather For An Airstrike, a UK project that was originally intended to create relaxing sounds to combat tinnitus and aid in falling asleep. Their sound is definitely relaxing, and inspired by such artists as Brian Eno and Godspeed You! Black Emperor. Overall this is definitely worth checking out. Andrew Othling, aka Lowercase Noises, offers a superb album of ambient guitar music. Clocking in at almost two hours, the music barely moves but is somehow filled with motion, giving the sense of floating along on a galactic river full of light while watching the universe move from past to present to future. This is a sort of ambient postrock, as it is guitar driven with heavy use of effect pedals. Andrew posts much of his work on youtube, along with instructional videos of how to achieve his effects, He also offers three of his other albums (which I have not listened to yet, but have on my short list) on his website. You can also visit his facebook page and let him know his work is appreciated. Very mellow ambient electronica. The compositions in this release are astounding. If you like Boards of Canada then you are going to love Orange Crush. Moving pads swell and fade with subtle melodies fading in and out.